If you want to reduce the size of Inbox, the best way is here. 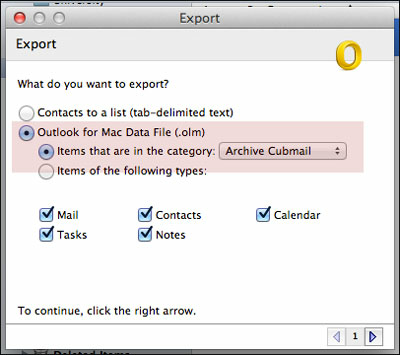 The best way is to export emails, contacts, and other items and manually archive to .olm on Outlook Mac . Now, save the OLM file to a desired location on the Mac system or on a different machine so that you can access in future. Step1 : Open MS Outlook 2011 in Mac OS. Step2 : Go to the Tools tab >> Select Export. It will open a new box. It supports to download & backup data from all Microsoft mail service alias (outlook.com, outlook.in, hotmail.com, msn.com, live.com). Step3 : Now, in Export to Archive File (.olm), select the items to export >> Continue. Step4 : Under Favorites >> Save As >> choose the folder of Downloads >> Click on Save. Step5 : Once your data has been exported, you'll get a notification Click on Finish after getting a notifiaction when the data gets completely exported. Step1 : Open Outlook 2016 in Mac OS.